The number of companies to start planning for the upcoming transitioning to 5G wireless standards and conducting tests on the new technology is growing by the day. 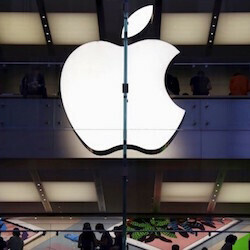 A recent report has announced that Apple is the latest of companies to receive a license from the FCC to test 5G services in the 28 GHz to 39 GHz spectrums. The frequency band was approved by the FCC last year and supports millimeter waves that are characterized by short wavelength and high frequency of transmission. Apple’s approved application for an experimental license gives Cupertino permission to test the technology in two locations near its offices in Milpitas, California. However, it’s important to note that the world is still to see a 5G-enabled smartphone and we may not see a 5G iPhone at least until 2019/2020, when the tech is expected to become the new standard for wireless connectivity. It’s also worth mentioning that Apple’s application does not provide detail of what the company plans to utilize the millimeter wave for, from a commercial point of view. Millimeter waves operate within the range of 30 GHz to 300GHz, greatly reduce latency in data transfers, and have capacity for much higher broadband speeds than what 4G LTE networks are currently capable of. Nonetheless, 5G networks are very susceptible to weather conditions, such as rain, wind and snow, and signal reception can be compromised inside of buildings. Back in 2016, tech startup Starry announced that it is working to deploy the tech and alleged that it has found a way to minimize the impact of weather interference and the short distance the waves travel. Other companies, such as Verizon and AT&T, have compensated the short wavelength and imminent weather dependence with big equipment deployments at higher density, which, however, is only viable when there’s also density in consumer demand in a given area. Nonetheless, the 5G standard is still undeveloped and not thoroughly tested, even though some carriers began field-testing some time ago. While Apple’s granted application does not reveal much saucy detail about Cupertino’s plans, we are inclined to entertain a thought that the tests might be part of Apple’s preparation of a 5G-enabled device, or an initial step in the launch of a super-fast wireless service. But since we have had no such confirmations from Apple, we shall wait for more detail on the company’s plans once the actual tests have begun. Only time will tell. I wonder what manufacture equipment ( cell tower radios) they will be testing with Seimines/Nokia, Samsung etc..?
" it’s important to note that the world is still to see a 5G-enabled smartphone" Um. I'm pretty sure the Samsung Galaxy S8 is 5G-enabled.